Crowdfunder January Jumpstart 2017: Help Us Do For Languages What Jamie Has Done For Cooking! Well, 2017 is starting with a bang. We are excited to share that we have been selected as 1 of just 100 start-ups for the Crowdfunder January Jumpstart. Our month-long crowdfunding push starts on Thursday 12 January and we hope to raise £5,000 towards publishing costs to give more children the gift of language. Crowdfunder has selected 100 projects be part of January Jumpstart, an exclusive four week crowdfunding program for the UK’s entrepreneurs of 2017. 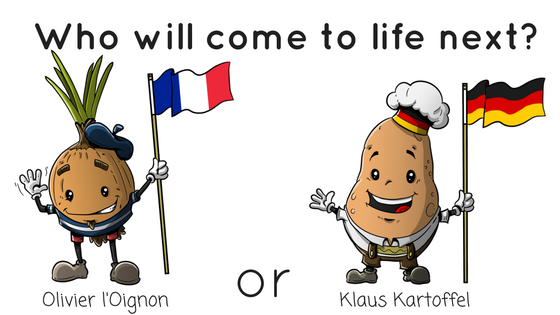 Our project, Cooking with Languages is designed to make learning a language exciting and interactive. We wand to help create oodles of language-loving superheroes. 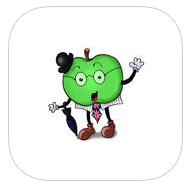 Gone is the tedious studying of verbs and complicated vocabulary from dull textbooks. Cooking with Languages is all about hands-on fun as children make easy (and scrummy!) 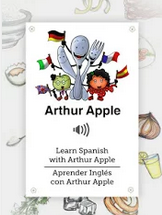 recipes, take part in games and other activities, and listen and repeat from audios recorded by my son Joshua and daughter Francesca, both bilingual in English and Spanish. 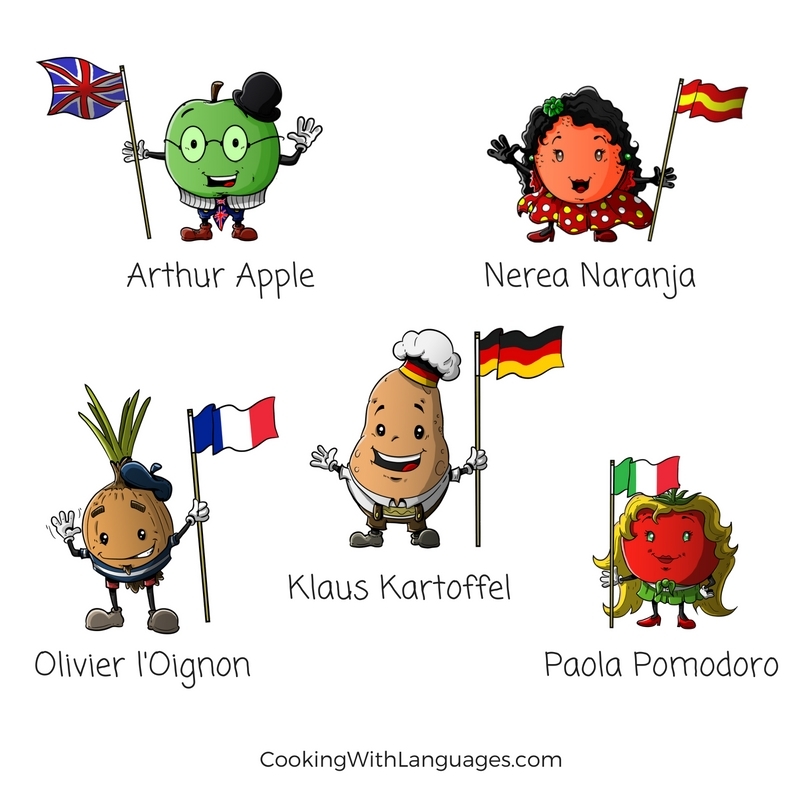 Our project started in English and Spanish kitchens, helped by language assistants Arthur Apple and Nerea Naranja. Further down the line we hope that Olivier l’Oignon, Klaus Kartoffel and Paola Pomodoro will be valuable language kitchen hands, but for now we are concentrating on materials in English and Spanish. Funds raised via the January Jumpstart will help bring down costs. We already have language teachers in both the UK and Spain keen to use our materials and bring that much-needed fun element into the classroom. 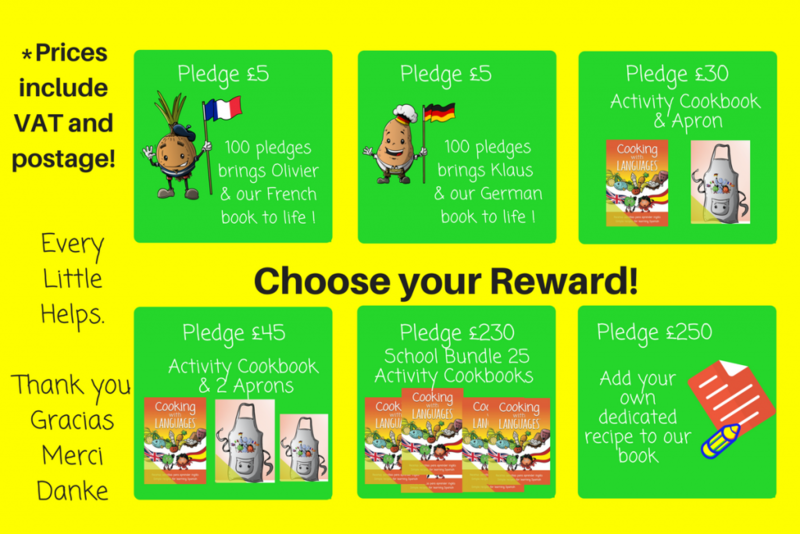 Those who join Cooking with Languages in their quest to raise £5,000 (about €5,800) by January 31st will be richly rewarded. Fundraisers will be able to obtain a copy of the activity cookbook and other materials at reduced rates. There’ll be sneak peeks at new materials and the chance to have your own recipe in the book and dedicated to your own children. But best of all, everyone who contributes will be helping to make language learning fun and give more children the gift of language. Contributions start at as little as £5 (approximately €5.80!) and can be made quickly, securely and easily via PayPal. Which Language Should We Launch Next? The Decision is YOURS!